What should I put in my portfolio? Is a fancy presentation important? How many pieces should I include? Do I show one style? Do I show several styles? In this article, we review the illustrator’s portfolio. A portfolio is a presentation of one’s work—the result of countless hours invested, dollars spent, and decisions made. It’s a book. It’s a gallery. It’s a key to doors of opportunity. It’s proof of our existence as artists. So it’s no surprise that building a portfolio is an illustrator’s biggest challenge. You’ll hear people (very knowledgeable people) say that if you display specific “kid-friendly” visuals in your portfolio, you’ll have a better chance of catching an art director’s eye. You’ll show them that you can tackle most subjects related to children’s books. Broadly, yes, this advice makes sense. But do you even want to draw kids and cats? Instead of telling you what to draw—which approaches the illustrator’s portfolio, and the idea of children’s books, superficially—I’m going to answer your question with a question: What do you want to put in your portfolio? “The What” has some merit. ButI think we can dig a little deeper. And that brings us to . . .
“The Who”: At some point in your career, you will need to have an idea of who you are as an illustrator. If you don’t know, then there are larger issues for you to tackle than just catching an art director’s eye. 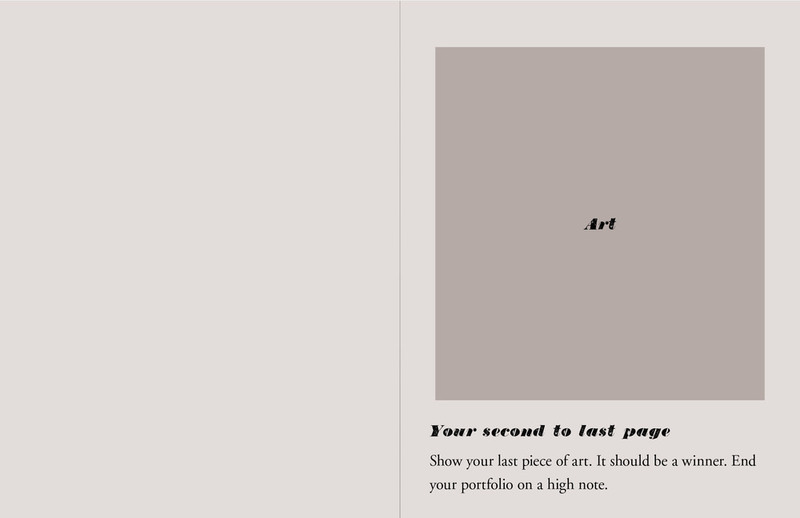 What should you put in your portfolio? You tell me! What is your voice? What do you want to say with your work? What are your ideas? Children’s book illustration is art. Don’t lose sight of that. Don’t let anyone tell you—or worse, convince you—otherwise. So what is your art? To find some of these answers, you need to create work that is personal to you. Do that. Constantly. Do that, and over time your “who” will come out on its own. A lot like the “The What,” “The Who” is an ongoing discovery, invariably challenged by doubt and differing opinion. But there is one answer to what you should put in your portfolio on which all art buyers should agree . . .
“The How”: What should you put in your portfolio? Good art. That’s the answer. You should display art that’s executed at a high level. No matter what your visual handwriting is—from realism to abstract art—it must be done well. Show that you can convey a feeling or a narrative with a strong understanding of your medium. To quote Neil Gaiman, “The one thing that you have that nobody else has is you. Your voice, your mind, your story, your vision. So write and draw and build and play and dance and live as only you can.” If you haven’t done yourself the great favor of watching his commencement speech, do it now. From time to time, all creatives should zoom out and assess their approach to creativity—because there’s so much more to what we do than kids and cats. Building a portfolio is like gardening. Do you scatter every kind of seed around, in the hope that something grows? No. You meticulously plan. You learn what you can and cannot grow. You read about companion planting (tomatoes love cucumbers). You weigh your research against what you want to eat. And then, you plant seeds in measured rows—designed for optimal growth and accessibility. You water, fertilize, prune. Through constant trial and error, you learn what’s working and what isn’t. Some plants thrive. Some die. You tell people about your garden. You gauge their interest. You tell tomato people about your tomatoes, and cucumber people about your cucumbers. Over time, if you plant the right seeds, in the right soil, in the right climate, you’ll reap rewards. “Do I show one style or multiple styles?” is another common question. And the answers, again, vary. It’s frustrating, I know, to hear such contrary and nuanced responses. In a freelance life already so fraught with uncertainty, it would be nice to have concrete answers. We want to know, as illustrators, that we’re making at least a few right decisions. But the truth is that the world of illustration is steeped in subjectivity. What one art director says is up, another art director will say is down. If you’ve read my article on style, you’ll know that I am very much in the camp of the polymath. Illustrators who can create art in several different ways give themselves a better shot at success. Remember our garden? The more diverse your crop, the more opportunity for a sale. I suspect quite a few of you are now asking, “But won’t multiple styles confuse art directors?” If the styles are thrown together without rhyme or reason, maybe. If they’re organized in clearly marked sections in your book and website, no. “But what if I can’t do more than one thing?” That’s fine. Then do that one thing. 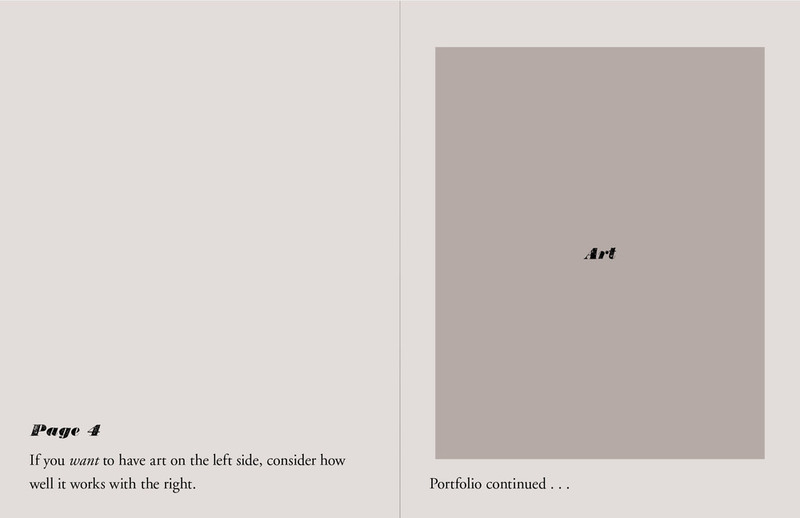 “But [insert another art director] gave me contradicting advice.” Every art director is different. They each have their own needs, experiences, and ideas. “But does this mean I can include my sketches and sculptures?” In your physical portfolio—which is usually required to be a bit more specific—probably not. For your website, which can be divided into separate sections, sure! Check out Charles Santoso’s website. In it you will see a variety of styles. You see similarities between them, but he approaches illustration from several unique angles. Simply put, art directors want to see what you do well. Identify what that is for you, and go do it. 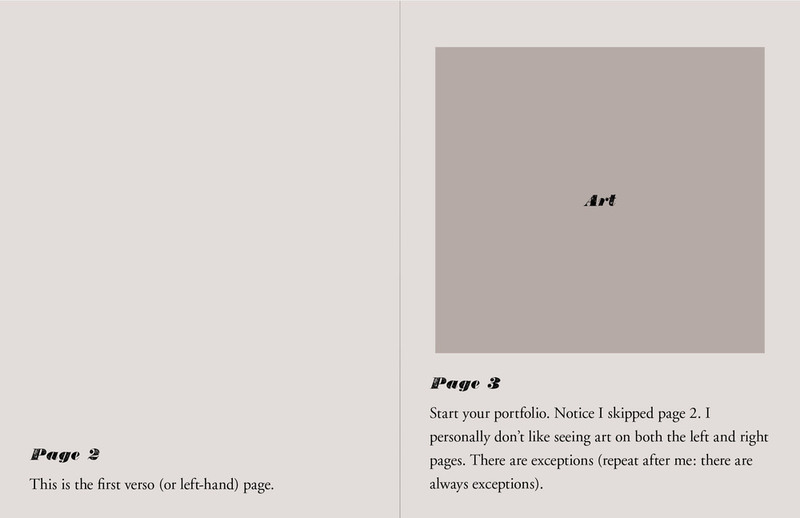 Curate your body of work and present it in a thoughtful way. Do that, and you will have accomplished far more than most of your colleagues. Speaking of presentation . . .
Do I need a website? Or can I use platforms like Tumblr, Behance, and others? The short answer is no, you don’t need a designed site with your own domain name. Art directors, editors, and other art buyers find illustrators through Tumblr, Instagram, Etsy, and other platforms. The point to remember is that you need some online presence. If you’re a freelancer without a website, you’re all but invisible to potential clients. Any kind of site will do, so long as it’s constantly updated—and edited. Let me say that again: edited. Often, illustrators treat their websites as digital dumping grounds. Not everything you create will be worthy of display. Sorry. As you continue to work, you will get better. Replace your old work with your new work. Even if you absolutely loved your older, inferior work—kill it, before it costs you a job. “How many pieces should I include in my portfolio?” Set a limit of 10 to 15 images per section in your portfolio. If you have multiple sections, the number goes down to 8 to 10. If you only have one section, you can go up to 15, 18, 20. These are guidelines. Averages. There are no specific numbers that will unlock a client’s heart—or their coffers. The answer, really, is that you should show as many pieces as it takes to prove that you can do what you do at a consistently high level. That said, don’t “fill.” More is absolutely less, especially when the quality of your art drops off a cliff halfway through your portfolio. Keep in mind that clients don’t have much time to spare. Any reason to bounce out of your site is magnified when on a deadline. If an image takes time to load, or if it’s challenging to find your work (as it sometimes is on Tumblr), clients will most likely not last long on your site. Remember to optimize your images for the web before uploading them. Not everyone has good machines with good bandwidth, and you don’t want to give them a reason to bounce. Think of your website as a storefront. You want it to be inviting, clearly organized, and easy to navigate. That’s it. It can (and should) be simple. And please, no music. Ever. Books aren’t dead! There are (still) moments in an illustrator’s life in which books are needed, including client meetings, showcases, competitions, and reviews. I find there to be an intangible charm in cracking open a well-maintained, sizable book. There’s an interactivity that’s triggered by its weight, texture, and sound, and of course by the aesthetics of the prints. Tablets are a gamble. With the physical book, you don’t have to worry about cracks, batteries, fingerprints, a buggy interface, or an uncooperative application. They are useful—especially if you’re an agent presenting dozens of artists. But tablets—believe it or not—make it harder to review multiple pieces at once. As useful as tablets may be, there’s just no substitute for the physicality and weight of a book. WHICH IS THE RIGHT BOOK? Do yourself a favor: remove all of the factory-inserted pages and burn them. You’re already printing your work, right? So why not create a Photoshop template at the actual size of the plastic sleeve? Make the background black (or a neutral, or whatever you want). 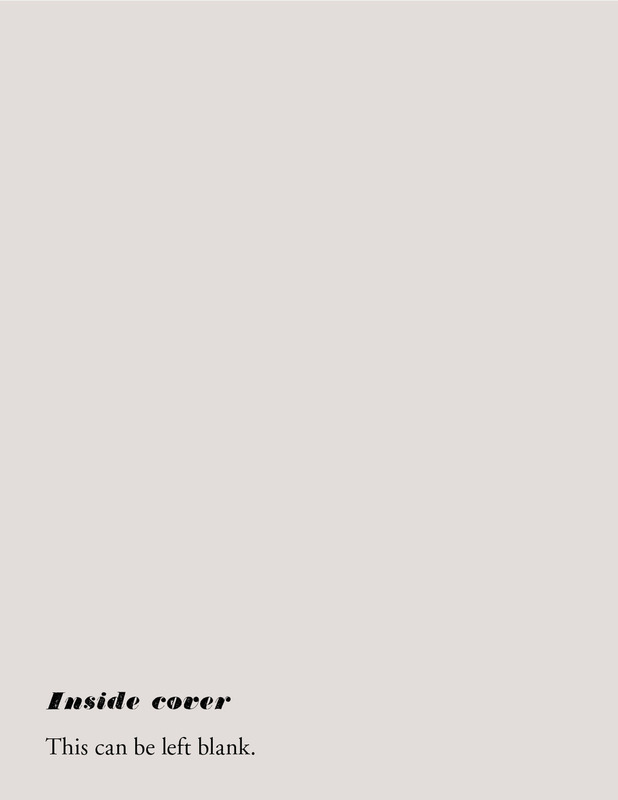 Then you can place your art digitally onto this template. Hit PRINT. Voilà! Every page will fit perfectly in the sleeve, and you’ll never again need to tape one piece of paper crookedly onto another piece of paper. On the lower end of the price scale, you have the thin pleather variety. These usually have a fixed number of sleeves. I don’t care for that feature as it dictates the number of pieces this book will display (Unless you want empty plastic sleeves in the back—and you don’t). Next up are the larger books that aren’t much more than binders. On the plus side, these normally larger books give you more surface area to play with. And the rings allow you to add, remove, and rearrange sleeves with ease. (Full disclosure: This is the one I have.) One big disadvantage: rings break over time. While in a meeting with Tom, an agent, we got on the subject of binders. He shared a story in which, during a presentation with a potential client, the rings on his portfolio broke, spilling plastic sleeves all over the client’s desk. He hasn’t used them since. If you open your wallet a little wider, you have the option to buy the much fancier, hard case books. I see these at showcases and when agents visit the office (like Tom). They come in metals, woods, and other drool-worthy textures. When opened, they lie flat on a table—a handy and necessary feature when displaying your art. But there are downsides to these as well: they’re heavy, editing the sleeves involves manual labor, and they’re more expensive—rendering them worthless if your book rarely sees the light of day. With a little elbow grease, some nice paper, and a decent printer, you don’t have to buy your book at all. You can make one. Some that I’ve seen in my career were lovingly and carefully constructed . . . while others sadly weren’t. So which is the right book? That’s a question only you can answer. A portfolio is an extension of you, the artist. 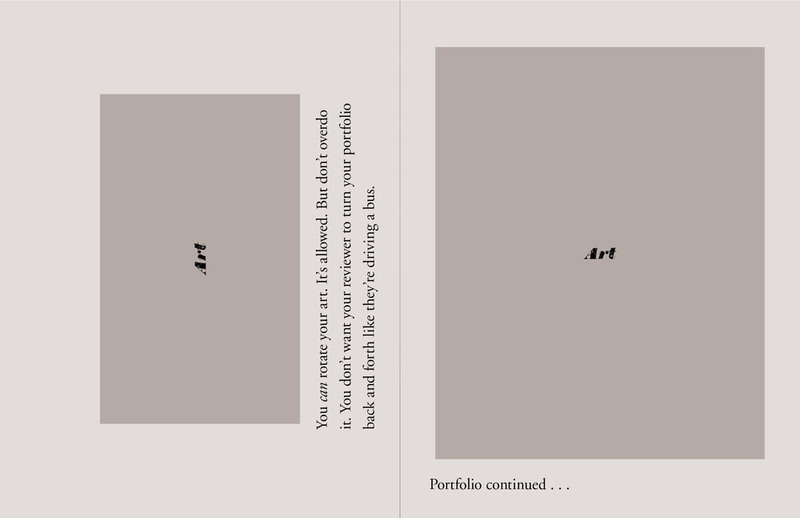 I find the choice of the portfolio is an almost dead-on subconscious self-assessment. Think about it. What does your book say about you? Is it scattered and unfocused? Confident and clean? Overconfident and showy? Your book should serve one purpose only: to act as a worthy vessel for your artwork—and that’s it. It shouldn’t be bedazzled, with glued-on stars and tassels. That tells me that you believe that your art won’t speak for itself. Nor should it be completely bland with little consideration for the layout or size. That tells me that you don’t have enough respect for your art. I’m not suggesting that you overspend for your physical portfolio. I’m also not saying that your choice in books will influence a client’s decision to work with you. Each of the options above—including tablets and even those large brown paper portfolios we had in college—serves a purpose depending on where you are in your career. I am saying that you spend countless hours—forsaking time to eat, sleep, be with family, plan weddings, enjoy sunlight, and have relationships—working on your art. Doesn’t that deserve a professional presentation? If you’ve read this far—and if you’re paying attention—you’ll see that I’ve said “book” 26 times. I personally prefer “portfolio,” but we do refer to them as books (27). So why do I so rarely see people treat their books (I’m done counting) as just that: books? Books have chapters and title pages. Books end with an “about” page. 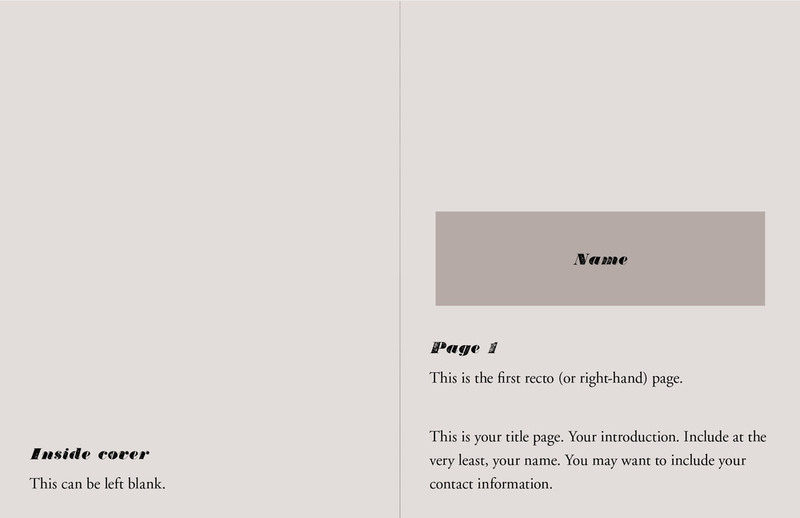 When designers typeset books, we don’t just throw an author’s manuscript onto a mechanical and hit PRINT. We consider the interior’s organization, tone, and pacing. 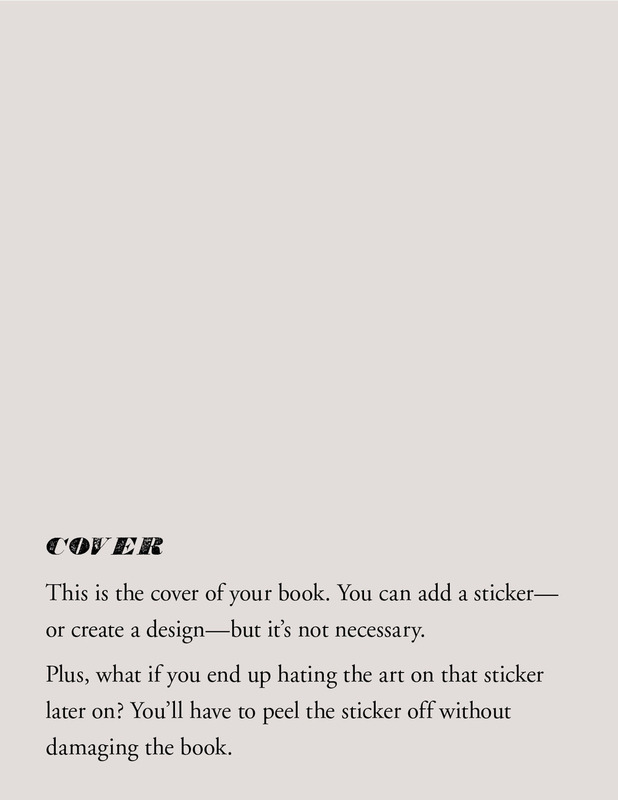 Illustrators should do the same. Follow this template. Don’t follow this template. Use it as a springboard for other ideas. But know that none of it—not the fancy portfolio or the flashy layout or the nice website—will compensate for lousy illustration. All of the above said, good clients are only looking at your art. If your art wows them with its thoughtfulness, artistry, and execution, it doesn’t matter if it’s displayed in a used paper bag. So, work on your art, a lot. Is the way in which you showcase your work important? Of course it is. But be careful not to spend too much brain activity on your presentation, and not on the thing being presented. Whichever way you go—book, binder, tablet, website, blog—I wish you the best of luck the next time your portfolio is reviewed.